Mark Dantonio has the Michigan State Spartan program rolling. The coach has guided the team to 11 or more victories four of the past five seasons. Michigan State has also won four bowl games in a row. 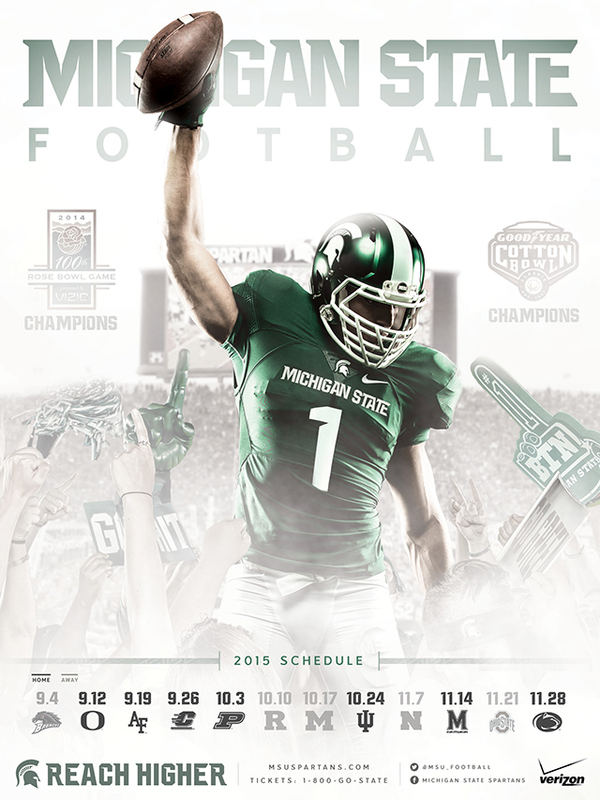 The Spartans open at Western Michigan on Sept. 4 and play host to Oregon on Sept. 12. Michigan State was arguably the nation's best team at the end of last season, but when it came time to select participants in the BCS title game, there wasn't a word mentioned about the Spartans. Yes, politics and reputation play just as big of a role as on-field results. It was said Michigan State's conference wasn't tough enough and besides, who were these Spartans? The bright lights of the national stage would certainly get to them. Michigan State would have none of it. The Spartans held their ground with the nation's best defense and ended Ohio State's 24-game winning streak in the Big Ten title game. Then they toppled Stanford in the Rose Bowl. The Spartans enter 2014 having won 10 in a row, second-longest streak to Florida State's 16. Mark Dantonio was a combined five games over .500 in his first three seasons at Michigan State, then the Spartans put together back-to-back 11-win campaigns. But a 7-6 finish in 2012 has to be considered a not only a disappointment, but a source of frustration. Five of the six losses came by a combined 13 points. Michigan State finally won a close game when it reached the postseason — a 17-16 win over Texas Christian in the Buffalo Wild Wings Bowl.